No, that’s not an old Irish aphorism. Neither did it come with the check at a Chinese buffet. I actually coined it myself, though I doubt seriously that it will have much traction in popular culture or conventional wisdom. And though it may sound a bit grim — maybe even doubly so — I had intended it in an upbeat hopeful way, but wonder now if it ought to be reversed. Something that is over (as in “over and done with”; “water under the bridge”) is irretrievably lost, behind you, beyond reclamation. Toast. Whereas, to finish something is to bring it to fruition, to completion; dot every “I”, cross every “T”. So what I had meant to say was simply this: It is my earnest and genuine hope that, when the time comes, as it will for us all to push back from the table, it will be with the satisfaction of a job well done, a work complete, a life well lived. There is more that I might wish to do, you say to yourself, but in the cosmic scheme of things, what I have accomplished ranks high enough to matter. 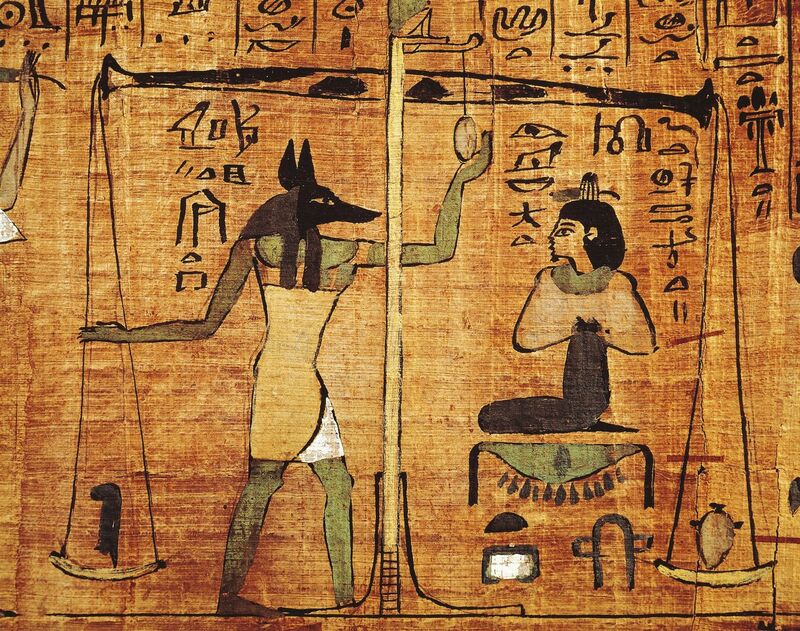 When Anubis weighs my heart against the Feather of Truth, of Ma’at, Ammit will have to wait to claim another. Now, since it is unlikely that the end of our lives and the completion of our most cherished goals are likely to coïncide, which of these would I rather accept? 1) Unfinished work, or 2) the dilemma of nothing left to do? Option #1 still looks good where I sit. By agincourtiowa in Uncategorized on Saturday/01/December/2018 .